Excellent tutorial! This is exactly what I needed after accidentally deleting the user “Contacts” folder from my Windows 8.1 set up. Is this the same for Windows 10. I’ve just messed up my downloads folder on a new laptop and don’t want to reload everything. Thx man, could “rebuild” my Downloads folderwith that tutorial! I could repair my Documents folder by executing the attrib command. Thanks! But my Desktop folder and my C:\Users\Username location has been merged. Although all the folders are under the right location, The Desktop folder has replaced my C:\Users\Username under the C:\Users. I hope someone could help. thanks! We need to break this task up into it’s three component problems. I think the best approach is the understanding that the key is to first look for the icons. If in This PC you have the icons for each of Desktop, Documents, Downloads, Music, Pictures and Videos, then assume these icons are correct even if everything else is wrong. Then determine which items are wrong, and work on them one by one. 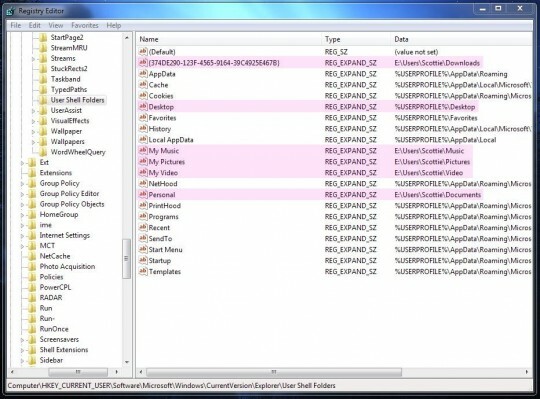 I found that if I navigate to the folder manually from the root of the drive containing the folder I want to use, it makes a huge difference as to understanding what is going on, and the ability to change things. So there are actually two things to change, not three. 1) icon is the component you don’t change. 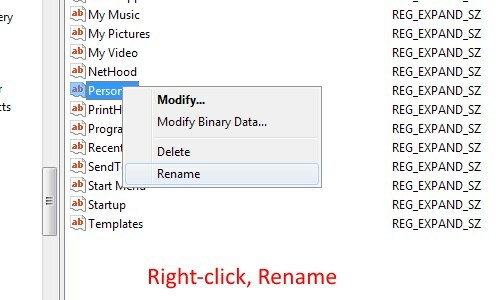 Create the new folder needed in the drive and path location (D:\OneDrive\Dropbox\) desired with the final name (David’s Pictures) you wish to use. This results in a folder with the path D:\OneDrive\Dropbox\David’s Pictures, as well as the original folder. Then navigate to the folder location to change the folder that Pictures was pointing at. Perhaps the most certain way to do it is via the root of the drive needed, e.g. 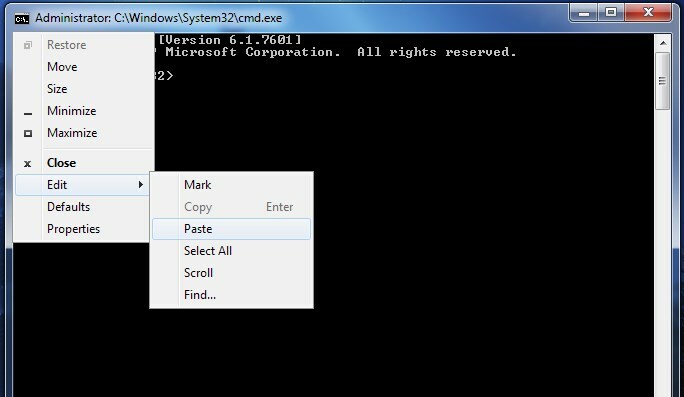 start by scrolling down and selecting the drive, (D:) in this case, then navigate the directory to the folder needed. 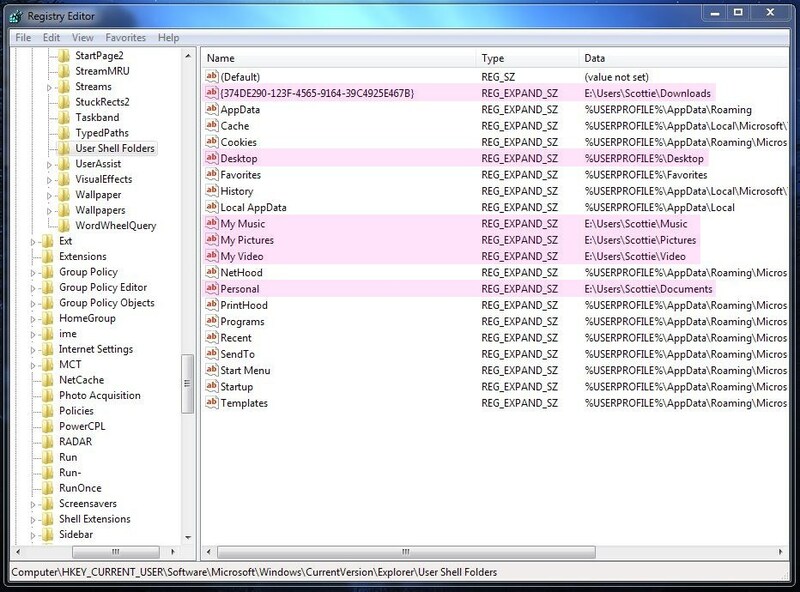 Note that ‘>’ means to click on the expansion symbol left of the folder shown. Click then and move all items to the new location (i.e. click ). The Pictures icon folder will now be pointing at the folder you want it to point at, but it may not have the name you want. a) In this example, to change the name ‘Pictures’ to ‘David’s Pictures’ in ‘This PC -> folders’. 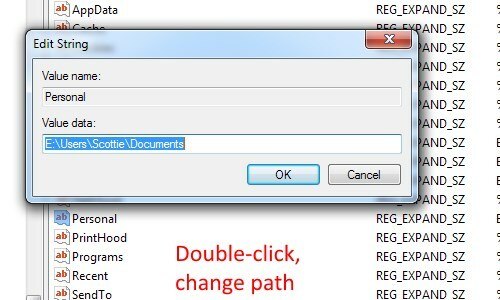 Note that ‘>’ means to click on the expansion symbol left of the folder shown. You should now find that in ‘This PC -> folders’ the icon will match the name you selected in this location, and the containing folder location, and if you click ‘This PC -> folders -> David’s Pictures’ you will go to that folder. Not sure if your tutorial is what I need. I tried copying (dragging) a very large (30GB) “Music Archive” folder (containing many other folders) from a portable Iomega hard drive (F:), onto a thumb drive (actually a MP3 player). Nothing happened. When I Explored the F:\ drive, the “Music Archive” folder was gone. I found a new folder “Music Archive (G:)” located on my C:\ drive in the computer (Win7 64bit). I’m pretty sure all of my music files have not been erased, since I would have heard the drive working to erase 30GB. But searching the drives would not locate any of the files. Can you help or point me in the right direction? Hmm… I have no idea. That’s pretty weird! That “shortcut” was not there before my file (actually multiple folders) copy attempt. The Iomega drive is good, in use every day. It seems the FAT for that one folder (and all its sub-folders) has been misplaced or omitted, though I know nothing about FAT other than what it stands for. Thanks for your continued thoughts Scottie! Thanks Scottie, but I tried that already…no errors. A friend is coming over today with Ubuntu, claiming it has good recovery tools…will see. The files that a Windows search couldn’t find were found with my friend’s Ubuntu disc search. AMAZING! Thank you for this. The path and command prompts work the same for Windows 10 on my new Surface Pro laptop. Easy and intuitive to follow. Thanks again. I’ve been looking for the solution to this problem for months, and finally with your help I’ve found it. Thank you so much!